This is my tribute to marzipan and everybody who is so madly in love with it as I am! Preaheat oven to 180 °C. 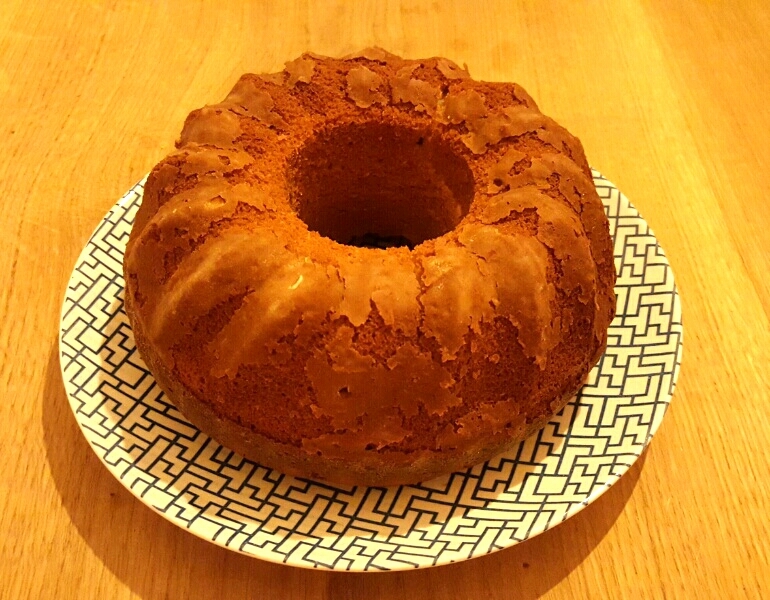 Butter cake pan and dust with flour (I use a Guglhupf Bundt pan). With a stick blender mix oil, brown sugar, marzipan, orange juice, vanilla and eggs in a medium bowl. Mix dry ingredients in a bowl and add to the egg mixture alternating with the yoghurt. Beat until just combined. Fill batter in prepared pan. Bake for 35 to 40 minutes or until golden brown and an inserted toothpick into the middle comes out clean. Remove from pan and let cool.